Kim Kardashian West has a new set of wheels. Kanye West, 41, gave his wife, 37, with a neon green Mercedes G series SUV, which the couple had previously rented in Miami. “I just got out of the gym and was surprised by this new baby. I loved it so much in Miami, and I kept on talking about it,” said Kardashian West, who shared the moment on her Instagram Stories over the weekend. 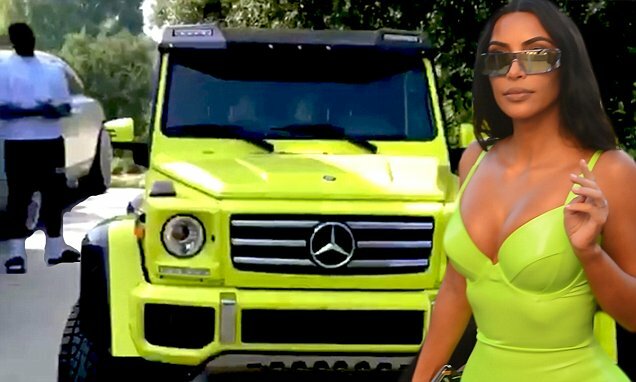 Kardashian West’s neon ride matches her 21-year-old sister Kylie Jenner‘s orange Mercedes. Kardashian West has been all about neon in recent weeks — a change of pace from her subdued style after she was robbed at gunpoint in Paris in 2016. Kardashian West is not the only Kardashian with a new car: 34-year-old Khloé Kardashian‘s daughter, 4-month-old True Thompson, recently received a mini Bentleyfrom Kimora Lee Simmons, 43.